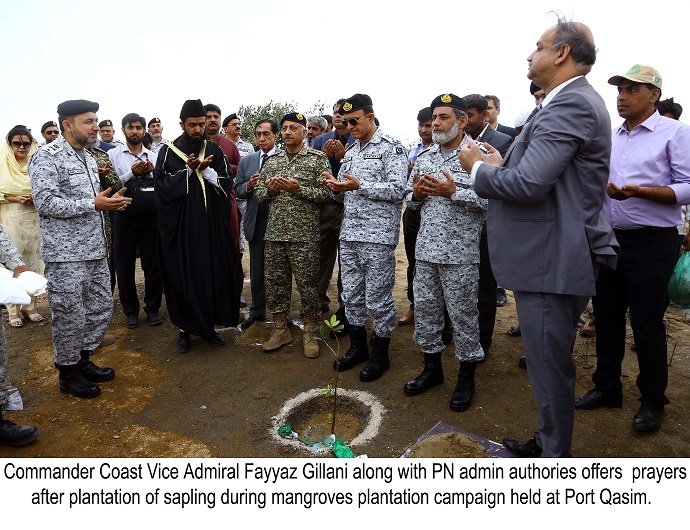 During his address, Vice Admiral Fayyaz Gillani highlighted that Mangroves Plantation Campaign offers a tremendous opportunity to strengthen our unique relationship with nature. 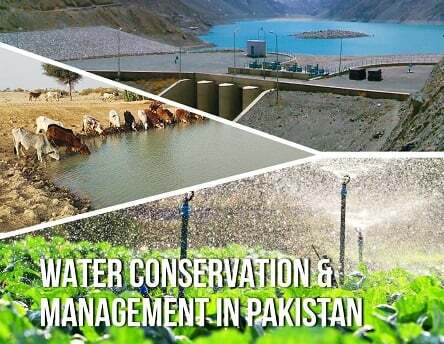 Mangroves have been instrumental in fending-off adverse effects of coastal hazards spurred by the climatic changes. 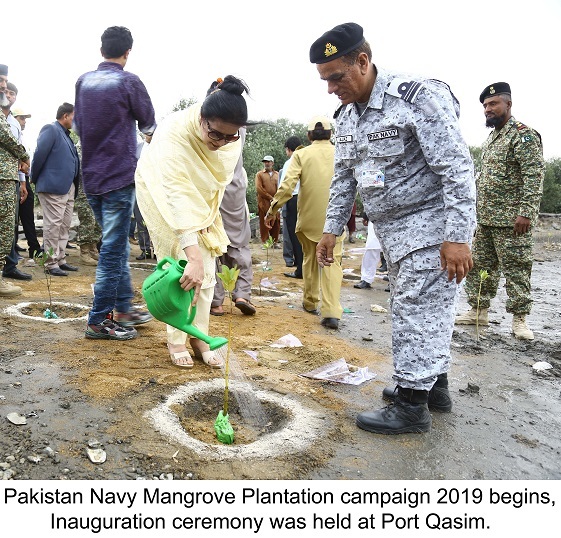 As a national responsibility for contribution towards a healthy environment and being a major stakeholder for the protection of maritime domain, Pakistan Navy has embarked upon a major initiative to preserve and revive mangroves forests all along the coastal belt. 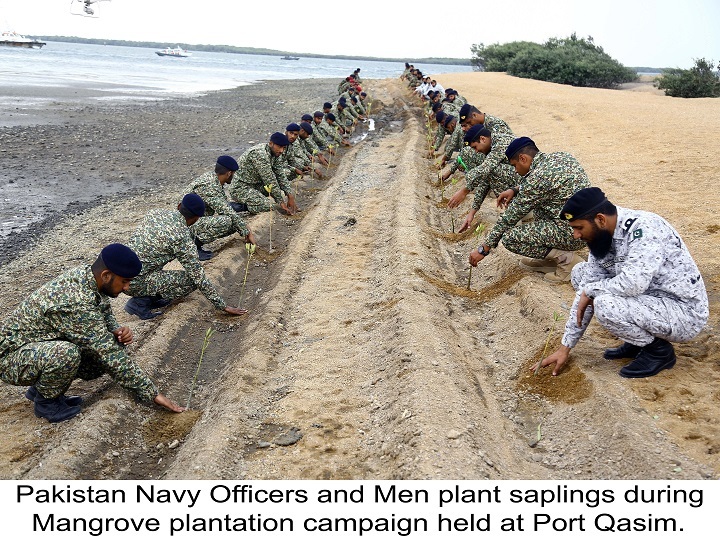 Pakistan Navy has planted over Four Million Mangroves in the coastal belt of Sindh and Balochistan during the last three years. He further highlighted that deforestation of mangroves has not only distorted the biodiversity of our coastal areas but has also adversely affected the livelihoods of coastal communities. It is, therefore, imperative to forestall deforestation through integrated institutionalized measures to ensure sustainable development. He underscored that this plantation campaign is being launched with the expectation that it would not only increase the mangroves forest cover but will also play a key role in creating awareness among the masses on the importance of mangroves preservation and revival. 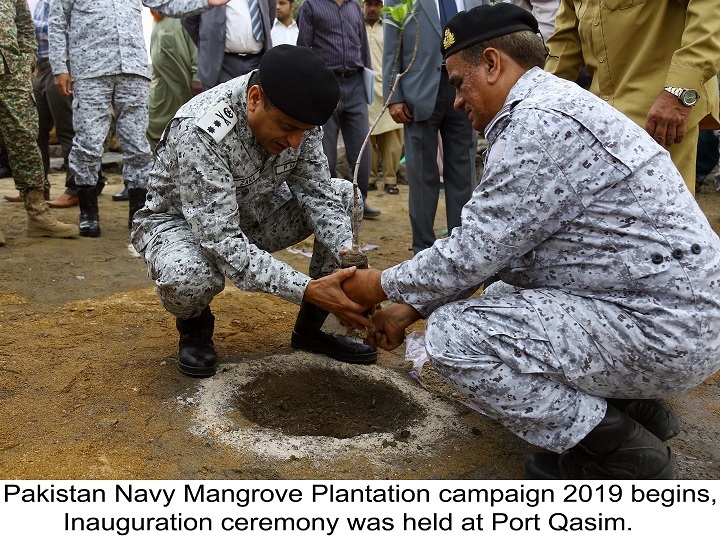 In the end, Vice Admiral Fayyaz Gillani, urged the federal and provincial departments, industrial community and individuals to join hands with Pakistan Navy in this noble causeof protecting marine ecology. 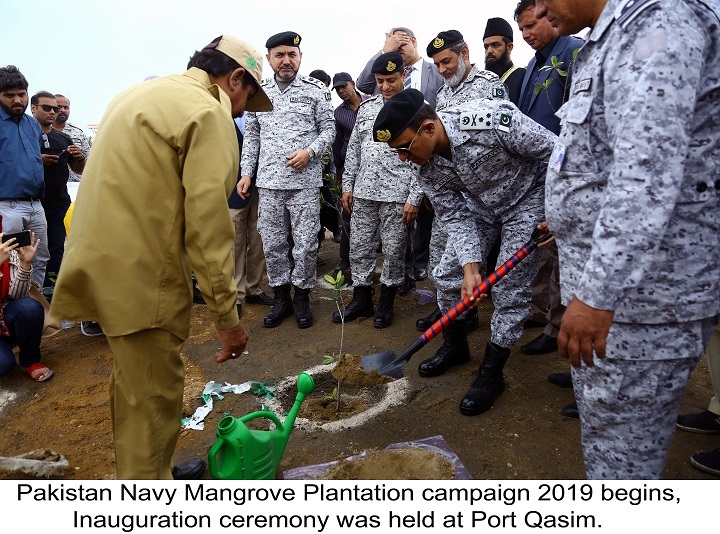 He emphasized that the whole nation should stand together in its resolve to make this Mangroves Plantation Campaign a success and preserve this precious gift of nature for sustainable development of our today and especially for our future generations.